For many runners, November is the start of our off-season and the beginning of fun runs. Whether you’re running one or ten holiday-themed races, Turkey Trots and Santa Hustles can be found nearly every weekend leading up to the New Year. Without having to carve out time for long runs which are included in most marathon training plans, runners have extra time to indulge in guilty pleasures. Here are a few of my favorites. 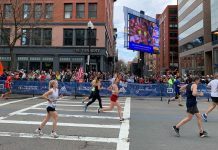 Among other things, the author of the Marathon Investigation website has taken upon it himself to investigate and verify entries into the Boston Marathon. As someone who just recently earned a BQT after years of training, I do appreciate the overall notion behind this; however it is hard not to feel bad for some of the featured subjects. Basically, if the author suspects that a runner has falsified their qualifying time, he digs into social media, personal contacts and even reaches out to the individual for comments. He then compiles all of the information and posts it on his website alerting the public to the alleged falsified time. I believe he also reaches out to the Boston Athletic Association and the qualifying race company. After he posts the evidence, I assume it is up to the Boston Athletic Association and the qualifying race director to legitimize or disqualify the finishing time. Public comments are allowed on the stories and do get snarky at times. It’s a little bit of Jerry Springer for the running community! 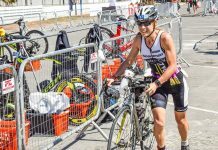 If you’re looking for inspiration for your next race, you can spend a ton of time on the Race Raves website, as well as Running in the USA. Both of these sites have an exhaustive list of races throughout the U.S.
Race Raves solicits feedback from the running community and asks for ratings of difficulty, scenery, production, and swag. I really appreciate that both sites attempt to have an active link to the actual race registration page. Running in the USA allows runners to search for races by a multitude of things; for example, if you only like to race on Saturday’s, you can search by that. Both sites are incredibly user-friendly and kept pretty up to date. 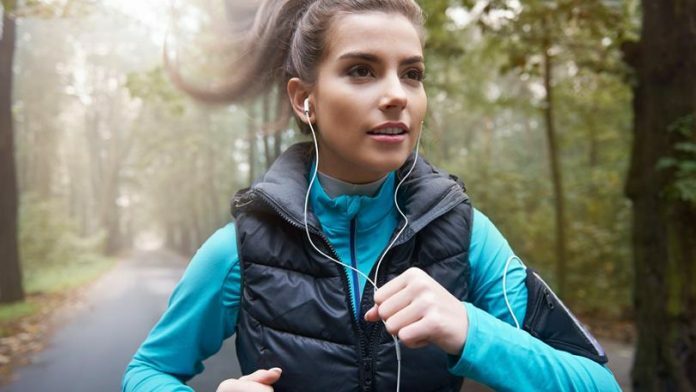 If you’re not into reading, podcasts also have a few treasures for us runners! 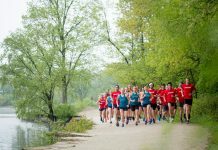 The Embrace Running podcast featuring Mark and Elena is one that I have recently discovered. They’ve been around for quite some time and have several Podcasts available. The podcasts that I enjoy the most are their recaps of marathons they have previously run and have found them to be honest and practical. I especially enjoyed the recap of the Flying Pig Marathon because this is one on my wish list. These are not only interesting, but super helpful because they cover everything from transportation to the race, hotels, EXPO’s, race weekend activities, and the races themselves. It is very helpful to know the name of hotels that allow for late checkouts, easy start/finish line access and Airport transportation. Mark and Elena also discuss all of the stuff that really matters to runners… Porta parties, race swag, and course aid stations. I really enjoyed a particular segment where they discussed course signage that they were tired of seeing. In case you were wondering, they are extremely tired of seeing signs that state “worst parade ever“! So, if you are like me and you have found yourself with extra time due to the conclusion of marathon training, check out some of these guilty pleasures of mine and see what you think. Whether you are someone that enjoys the Jerry Springer-esqe rampages found on Marathon Investigation or you like the detailed marathon information from the Embrace Running podcast, there are certainly resources out there for all of us run-nerds!